Airport parking is one of those things that you have to sort out when you’re going away, but it just doesn’t match the excitement levels of booking the holiday itself. That said, it is a necessity and the worst thing you can do is leave it to last minute. We asked Ryan from SkyParkSecure.com to give us an insight into how to save money when you book, as well as get the best service. It’s not that fun or interesting to book airport parking, which is why a lot of people prefer not to think about it and simply turn up on the day. Now while it’s rare that you won’t find yourself a space, you’ll always pay over the odds if you just rock up to the gate. That’s because this gate price, as we call it, normally works out about 60% more expensive than pre-booking with a price comparison site or the car park directly. The car parks know that when you’ve got a plane to catch, you haven’t got time to find somewhere else if the price is high. And they fully take advantage of that. Instead, book your airport parking when you’re sorting out the other travel essentials like insurance and car hire. Not only will you get a better deal straight away, but you’ll be able to browse several car parks and choose the one you like best. 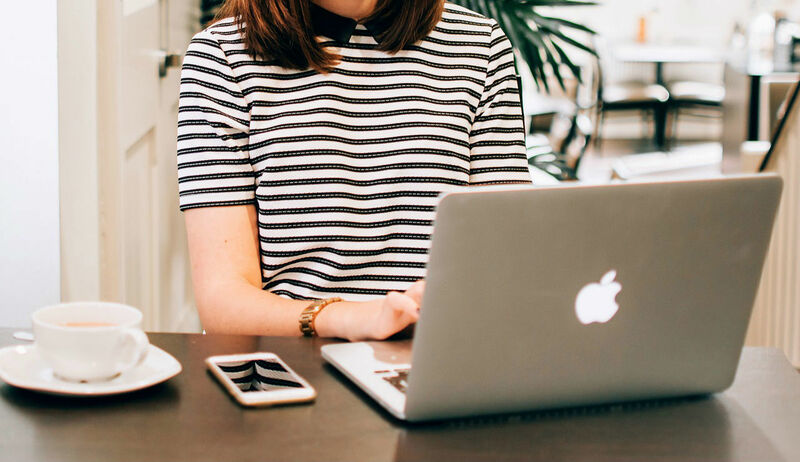 Of course, if you’re looking to save time as well as money, you can let a price comparison site do the hard work for you. Instead of researching individual car parks yourself, airport parking comparison sites have a database with the car parks laid out for you, with prices included. Easy peasy! When you purchase airport parking directly with the car parks, they charge you the full price, or only offer minor discounts. But comparison websites bulk buy spaces at negotiated rates then pass on these savings to you. So, instead of having you pay the full rate, comparison sites search the entire market and quote the best deals, meaning you’ll get anything up to 30% off while having the full choice of options! 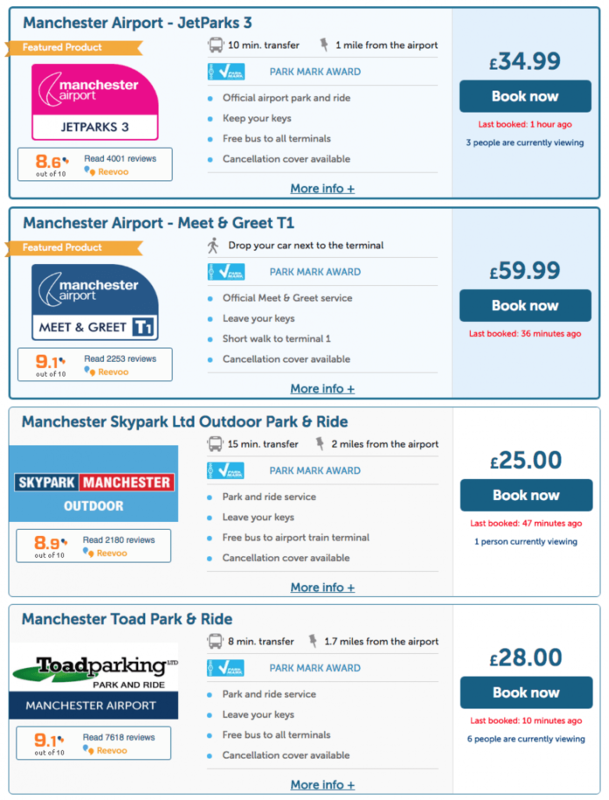 The beauty of an airport parking price comparison site is that they’re not there to sell you a specific car park, but offer you a choice. The thing is, some sites use their own rating systems to show customer reviews, so they’re free to big up the good reviews and bury the bad ones. 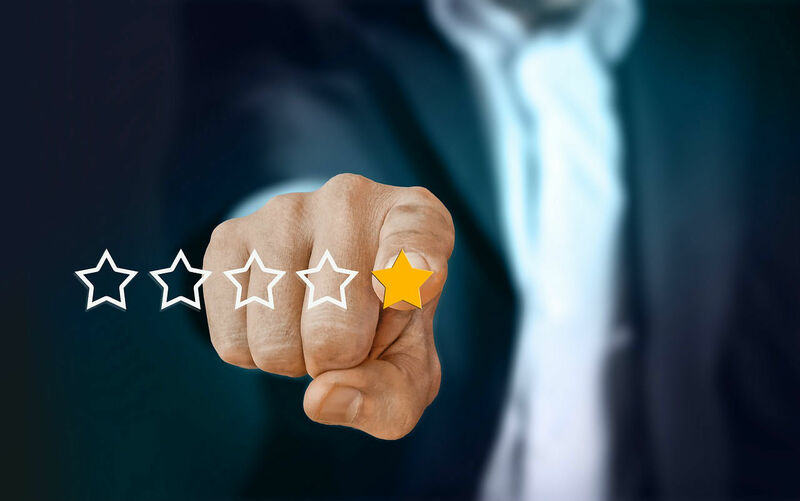 With this in mind, it’s best to make sure the site uses an independent review system not managed by them — Reevoo or TrustPilot are two examples. That way, you know you’re seeing a true representation of public opinion. There’s just no point in taking risks on something as valuable as your car! My last airport parking tip is for you to find yourself a discount code to help you save even more money. Because of the amount of competition out there, most price comparison sites will stay one step ahead by offering extra discounts with a promo code. If you haven’t got one already, it’s always worth heading over to your favourite search engine and entering the name of the comparison site + promo code. Hopefully, you’ll be able to cut the price by even more! One site that satisfies all of the above is skyparksecure.com. We offer more than 300 car parks across 28 airports, so you’ll have plenty of choice and be able to save a few quid, too! And that’s that! We hope you enjoy our service, and don’t forget to use the promo code STEVESPECIAL to get the best price! Flight delays happen, but that doesn’t mean you have to accept them. You may be entitled to as much as €600 in compensation if your flight was delayed, canceled, or overbooked within the last three years.